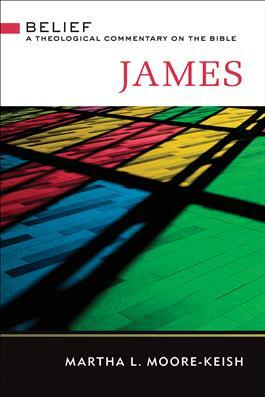 The Letter of James is the focus of the latest commentary in the Belief series. In the Letter of James, the writer sends encouragement to the early church, in the midst of the struggles and strife that marked its early days. Theologian Martha L. Moore-Keish guides the reader through the brief but important letter, most known for its discussion of the importance of actions to make a true life of faith. The volumes in the Belief series offer a fresh and invigorating approach to all the books of the Bible. Building on a wide range of sources from biblical studies and the Christian tradition, noted scholars focus less on traditional, historical and literary angles in favor of a theologically focused commentary that considers the contemporary relevance of the text.